We decided JRC 2017’s Blue Ribbon Prize & Laurel Prize ! 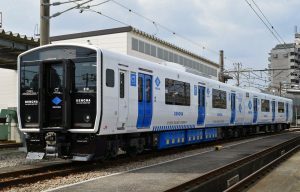 Japan Railfan Club with [JRC] (Hiroshi Suda, President; membership approximately 3,100) honored Kyushu Railway Company type BEC819 EMU with the 2017 Blue Ribbon Prize (best rolling stock). The Blue Ribbon Prize & Laurel Prize selection committee of JRC has made this decision based on the vote of JRC members. 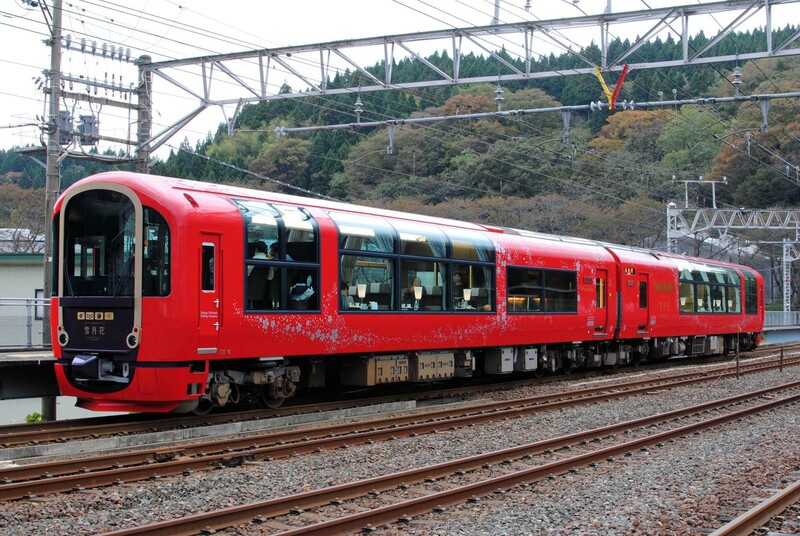 In addition, East Japan Railway Company type E235 EMU, Echigo TOKImeki Railway Company*). 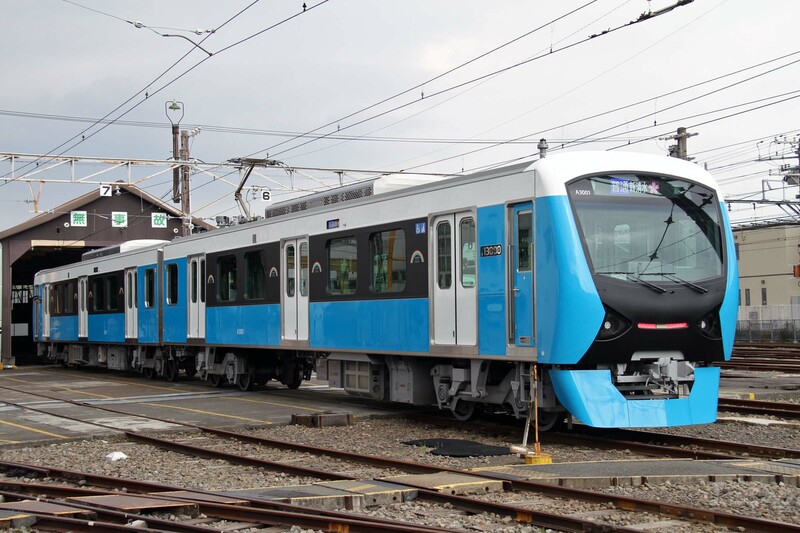 type ET122 series 1000 DMU and Shizuoka Railway Co., LTD. type A3000 EMU were selected as 2017 Laurel Prize winner by the selection committee recognizing their excellence for Laurel Prize. *) Echigo TOKImeki Railway has been established through joint public-private sector funding due to the completion of Hokuriku Shinkansen Rwy. in 2015; former East Japan Railway Company Shin-etsu line & West Japan Railway Company Hokuriku line each part. Type BEC819 EMU (nicknamed DENCHA ; abbreviated Dual ENergy CHArge train) carries large-capacity lithium ion battery as a power supply for the drive, and electric drive is possible in the non-electrified section. This power system (using A.C.20kV/60Hz overhead wire in electrified zone and using large capacity battery in the non-electrified zone) acquires considerable reputation. These Eco-friendly characters are strongly appealing, and the committee appreciates these characteristics, and selects it as 2017 Blue Ribbon Prize winner. 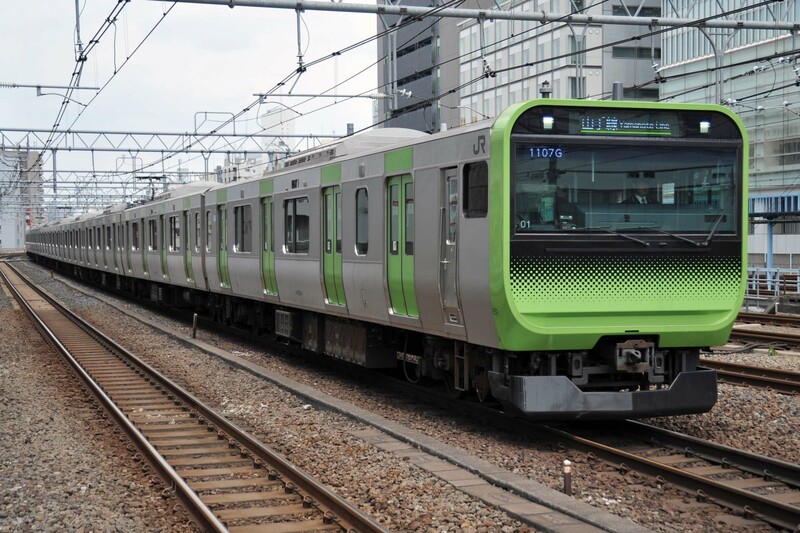 Type E235 EMU for Yamanote Loop line in Tokyo adopts the new train information management control systems (INTEROS ; abbreviated INtegrated Train communication networks for Evolvable Railway Operation System ) which offer secure and stable transportation service, and creates the comfortable transport service for the Tokyo Metropolitan area. The committee evaluated these characteristic and selects it as 2017 Laurel Prize winner. Type ET122 series 1000 DMU is the newly constructed tourist train nicknamed ｢Echigo-Tokimeki resort Setsu Getsu Ka (means Echigo-Tokimeki resort Snow Moon & Flower)｣, adopts the largest wide view window in our country and uses positively the car accommodation materials being made specially in the hometown (Niigata Pref. ), and contributes to the sightseeing promotion. The committee evaluates these characteristic and selects it as 2017 Laurel Prize winner. 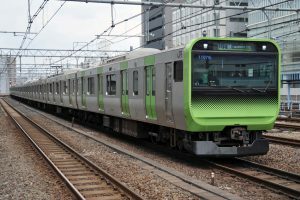 Type A3000 EMU adopts the technique having the high trust under the present conditions in a good balance, and matches its characteristic well with the route scale, operation form and conservatism of local railway. 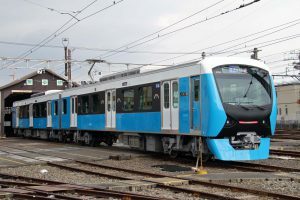 As above, A3000 is placed as the standard of the construction EMU of future local railway. The committee evaluated these characteristics and selects it as 2017 Laurel Prize winner.